BOTOX® Cosmetic is a simple, nonsurgical, physician-administered treatment that can temporarily smooth moderate to severe frown lines between the brows in people from 18 to 65 years of age. It is the only treatment of its type approved by the Food and Drug Administration (FDA). One 10-minute treatment – a few tiny injections – and within days there’s a noticeable improvement in moderate to severe frown lines between the brows, which can last up to 4 months. Xeomin is an injectable neuromodulator approved for cosmetic indications – Moderate to severe frown lines between the eyebrows. Similiar to other drugs in this category, including Botox and Dysport, that also have FDA approval for the treatment of facial wrinkles. Dysport® is a prescription injection for temporary improvement in the look of moderate to severe frown lines between the eyebrows (glabellar lines). What is BELOTERO BALANCE®? BELOTERO BALANCE is a prescription injection that is approved to temporarily smooth out and fill in moderate to- severe nasolabial folds (the folds or wrinkles that go from the side of the nose to the corner of the mouth). Microdermabrasion is effective in reducing fine lines, “crow’s feet,” age spots and acne scars. It stimulates the production of skin cells and collagen. 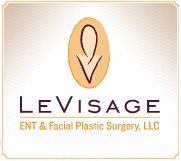 It has proven to be a very popular nonsurgical cosmetic procedure. The hand piece emits crystals onto the surface of the skin, resulting in a gentle abrasion or “polishing” process. Each treatment takes from 30 minutes to an hour. The number of treatments recommended for maximal results can range between 5 and 12, spaced from 2 to 3 weeks apart. Maintenance of results requires periodic repeat treatments after the initial regimen is completed. Microdermabrasion may be combined with other skin care treatments to increase the effect. Nonsurgical, safe, effective “lunch hour” procedure. 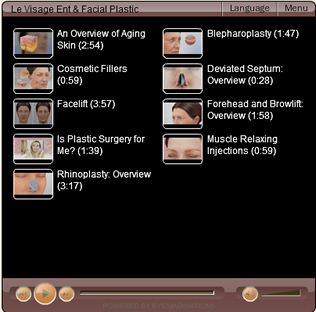 View our educational videos, which offer clear explanations of common cosmetic treatments. Please click on one of the categories to see the video animations that are relevant to each topic. All video is closed captioned for the hearing impaired or for those who are unable to listen to the audio portion of the presentation. Click on the menu button in the right hand corner to return to the main menu. Click the language button to change to Spanish or closed captioning. Visite nuestra nueva colección de videos educativos, que ofrecen explicaciones claras cirugias cosmeticos. Atención, los pacientes que hablan español. Por favor, haga clic en la ficha “language” en la esquina superior derecha del reproductor de video para selecciónar la version en español.